Message: It has started for me. Be leery because it might consume you too. The honeymoon period is over, folks. It sneaks into our speech, our actions, and our reactions. If we fail to acknowledge it now, it will control us completely. Like the plague, it infests others. You might even catch it from a good friend on a bad day. Like cancer, it starts small. And then it grows. And grows. Our students see it, and they catch it. Before you know it, you are a prisoner in its cell. What is this repulsive force? Don’t fret. There is hope. Paul has the key to unlock your jail cell, setting you free from the bars that confine you, in Philippians 4:8 above. Take it from a man who lived much of his Christian life behind bars. Paul had every reason to feel sorry for himself, yet he crushes negativity with the hope that Jesus Christ provides. Let us dive deeper into that hope and give you all some applicable thoughts to shift your mind towards the positive. Look for the good in others. It is there. Even the unruliest student has some good. Paul declares that we are a masterpiece of God’s creation in Ephesians 2:10. Find that goodness and bask in it. It could be amazing artwork or superior technology skills. Praise these kids about their goodness, build strong relationships, and always encourage. Focus on the fix. Yes, there are times you need to vent out frustrations. Get it out, and move on. Ask yourself the question of how you can fix the problem. Knock around ideas with your colleagues. Set up a parent meeting if need be. Try something new. And all the while, keep those positive thoughts from step one flowing. Be grateful. It sounds so simple, doesn’t it? “A joyful heart is good medicine, but a crushed spirit dries up the bones” (Proverbs 17:22). Praise God that you have a job. Be grateful that God is allowing you of all people to change children for the better. The coolest thing is that when others see your gratefulness, they too become thankful. Take time to praise the good ones. Our team has a tradition of writing positive notes to students on Thursday. We need that! Amidst all the chaos of the day, there are ample students that are doing the job right. Give these kids a pat on the back. Write them a positive note. Even go out of your way to call mom or dad about it. This will build healthy relationships. See the bigger picture. It is difficult to see the light amidst the darkness, but know this: God is working EVERYTHING for our good (Romans 8:28). Trust in His plan. God provides opportunities for teachers to exude patience daily. We may not like it, but it strengthens us. It gives us endurance. And even when we might fall, God is always there to pick us up with His loving grace. There. Doesn’t that make you feel better? It does for me. Please know that I wrote this as much for myself as for whoever might be reading this. Yes, I have hopped aboard the negativity train a bit recently, and like Proverbs 17:22 above, it just dries up my bones. We have a choice. Good or bad. Godly or worldly. Paul challenges us,“Do not be conformed to this world, but be transformed by the renewal of your mind, that by testing you may discern what is the will of God, what is good and acceptable and perfect” (Romans 12:2). Renew your mind today. Pierce the darkness with that goodness. Challenge: Every time you feel negativity crawl into your life, remind yourself of Philippians 4:8. If you have not tried any of the antidotes above, give them a shot. Count your blessings. It is so much more enjoyable to see the glass half full! Bible story: Read the story of Paul and Silas in prison (Acts 16:16-40). Why are Paul and Silas singing hymns in the darkness of a prison? 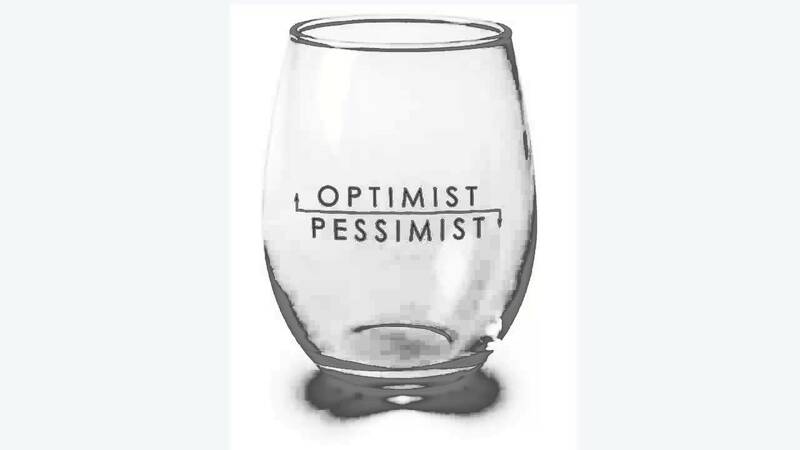 How do they see the glass as being half full and not half empty? How can this passage inspire you to twist a current problem you are facing toward the positive? Prayer: God of goodness, let joy flood my heart and flow out to others. Help me make the choice to choose Your way. Amen.